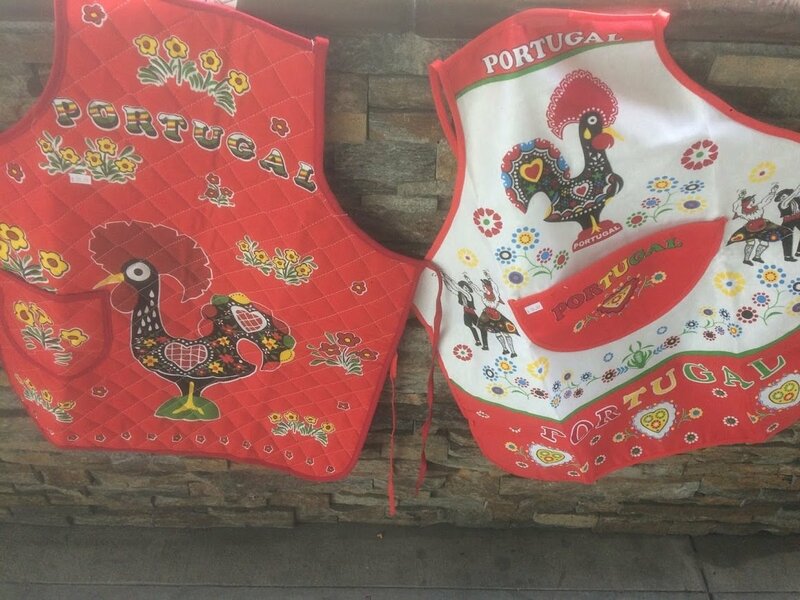 Beautiful aprons with traditional images of Galo De Barcelos. Made in Portugal. Full red apron is quilted. White face apron is basic linen. Available in various colors, please specify preference.